Citihair Extensions is the leading specialist in professional installations of human hair extensions. Our salon is conveniently located in North Melbourne ; 10 minutes drive from Melbourne central. 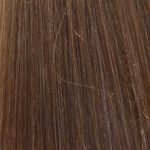 We pride ourselves on providing Superior European luxury hand tied wefts hair extensions that are 100% Remi Hair — with all cuticles aligned in the same direction. 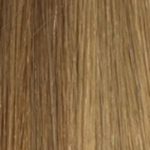 Our hand tied wefts extensions are less bulky, less visible, very light in weight and the texture is suitable for everyone, making it the best quality hair extensions product in the market. But most importantly, it is affordable. Catering for all hair types, regardless how thick or thin and helping people experiencing different stages of hair loss and Alopecia. We offer the latest method Micro horizontal Installation, it is quick and easy to maintain. Our support doesn’t stop there. We provide ongoing support on how to maintain your new look at no extra charge. At CitiHair Extensions, you’ll find a complete variety of methods of hair extensions installation such as Clip-ins, Tapes, Micro Beads & Fusion bond. Other services includes; Hair styling, cuts/colours, dreadlocks, dreadlocks extensions, African hair braiding, African cornrows braiding, hair twisting and more. 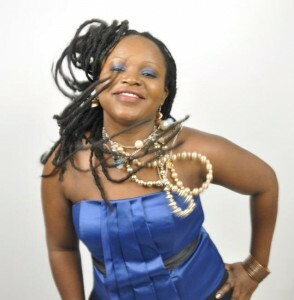 Judith, our hair installation specialist, has over 17 years of experience. She understands you’re unique…that every client is unique, and will consult with you prior to installing your hair to work out the best extensions and installation method for you. Even though she has over 17 years of experience, in her spare time she keeps on learning and experimenting with new and improved methods to add to her skills. Her reliability and insight into hair installations and maintenance are invaluable and have her clients always coming back to use her service and wrote glowing reviews about her. At Citihair Extensions, we believe in the value of our excellent service combined with our expertise to create a pleasant experience for our clients, that are highly personalised and fair priced. We pride ourselves on delivering personalised service for each of our clients. When you come to us, we will discuss a treatment which is most appropriate for you — from the type of hair, length, colour and method of extensions, through to your aftercare and maintenance plan. Judith and the team at CitiHair Extensions are used extensively by some of Melbourne’s top modelling agencies and artistic directors in creating the perfect desired edgy look using any number of our advanced hair extension techniques. If you’re an actor or actress, model, appear in film or television or just want to look beautiful with a new look and longer hair, please contact us today to have a chat or made an appointment. Melbourne based Citihair Extensions are experts at micro wefts hair extensions, micro horizontal hair wefts, clip-in extensions, human hair extensions, human hair weaving, tape hair extensions, micro links hair extensions, keratin hair bond, sewn-in hair extensions, dreadlocks, african hair braiding and cornrows braiding. We also offer hair cuts, stunning colour and foils at an affordable price. Other popular methods are Micro Beads, Micro Links, Keratin Fusion, Tape-in, Braided in Weft Extensions, Braid-Less Hair Extensions, Brazilian Knot Extensions and Top Volumiser Installation. Check our services and price list. At Citihair Extensions, we carry out strict product testings on the products which we use and sell. Our hair products are not just of good quality but will also sustain the endurance of washing, colouring and straightening. All of the wefts, Clip-Ins, Nail-Tip and I-tip last over 2 years with proper care. Check out our online store, call or visit us at our salon for more product information and recommendation. It is made from only the most healthy, youthful human hair, using breakthrough processes which insure that all cuticles face the same direction. 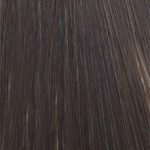 This unique process preserves the protective outer layers of the hair and results in a more natural look and smoother feel. And because it is created with such care, it retains its natural lustre much more longer than ordinary human hair. REMI hair products are designed to be lightweight and easy to apply. Superb softness, shine, and durability. You’ll find REMI hair to be easy to manage and longer lasting. You’ll like the thin lightweight wefts which are hand made! Remi can be: permed, dyed, curled, flat-ironed and blow-dried — and still maintained its soft texture! Some of the qualities of this hair are: true uni-directional cuticle Remi Hair, minimally-processed hair, and special weft technique (thin, double weft with no shedding) therefore the hair last longer than other human hair products out there. We also stock post installation hair care products that are 100% Australian made and 100% vegan. For every new client having their first installation, we offer 50% off the price of after care kit! (Valued at over $89). Check out our other specials and promotions. Do you love long and voluminous hair? Thinking of a new hairstyle with some hair extensions? You are at the right place! 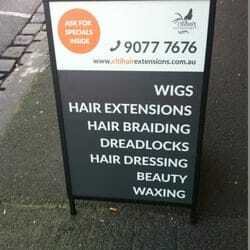 We have you covered for all your hair extension needs. We are known for our quality human hair extensions in Melbourne. With a fantastic range of products like fusion bond, clip-ins, tapes, weft and micro bead hair extensions for our Melbourne’s beautiful crowd - we are sure to find a perfect hair solution for you. We believe that choosing the right hair extension shade is important to ensure that you get the look you want. Hence, we personally guide you by understanding your hair type, preference, style and budget. You can consult us and we will consider even the minutest details about your hair, like the length, colour, type and method of extensions you prefer. We will recommend you the best shade for your hair to make them look natural! Bored of your hairstyle and want a new look? Change it within minutes without chopping your hair! Add volume, length or colour to your hair and get the style you want – within minutes! We are the most recommended hair extension specialists in Melbourne and we can help transform your hairstyle with our huge range of hair extensions. Our hair extension experts use the latest method of Micro horizontal installation that is quick and easy to maintain. We make sure that our hair extensions provide you with the right volume and length - just the way you want it. Regardless of your hair type – be it thin, thick, straight or curly, our quality hair extensions work for everyone. Apart from offering the best hair extensions in Melbourne, we also offer other services like hair styling, cuts/colours, dreadlocks, dreadlocks extensions, African hair braiding, African cornrows braiding, hair twisting and more. 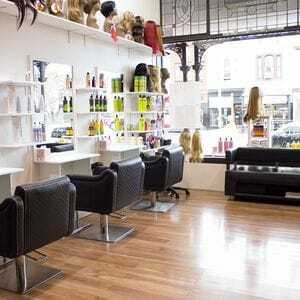 In short, we have all the facilities for your hair including hair extensions, styling, care. Start Your Hair Styling Journey Today! Do you want to try best-quality yet cheap hair extensions in Melbourne? Explore our website and product range, ask for an initial consultation and enjoy your new hair transformation. Shop now, enjoy now and pay later with AfterPay when you buy your Hair Extensions from CitiHair Extensions.